From my 1st year as an undergraduate through to my final Masters year, I have always dealt with masterplans. I have worked at a variety of scales, ranging from conceptual drawings to plans detailing materials and construction. To produce these plans below I used a variety of techniques and programmes to achieve their final appearances. I have used AutoCAD, Photoshop, Illustrator, InDesign and hand drawing. 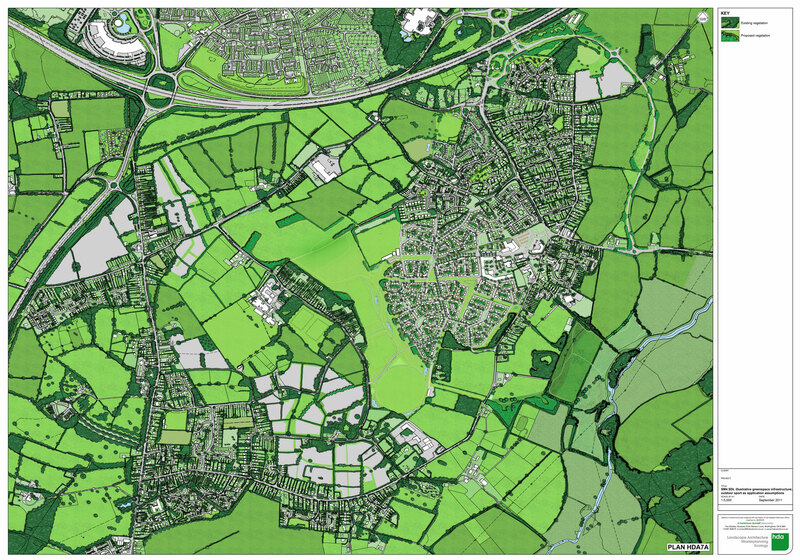 This plan was produced in my placement year to aid a planning application for a large development in Reading. This is a conceptual masterplan produced during my maintenance module in my Masters year. 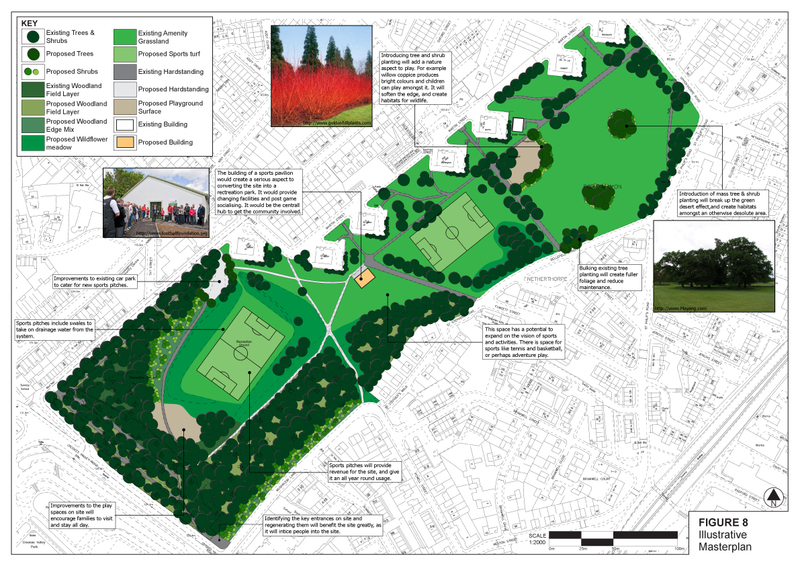 It went alongside a maintenance report on a park in Sheffield. 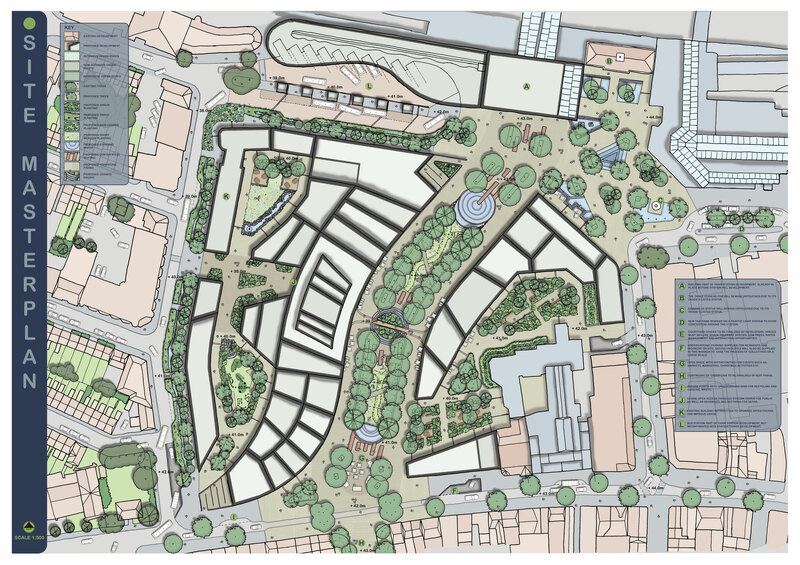 This was the final masterplan for my Masters special project, where I transformed a site next to Readings train station into a multi-use site, covering all dimensions of the development, not just the landscape. 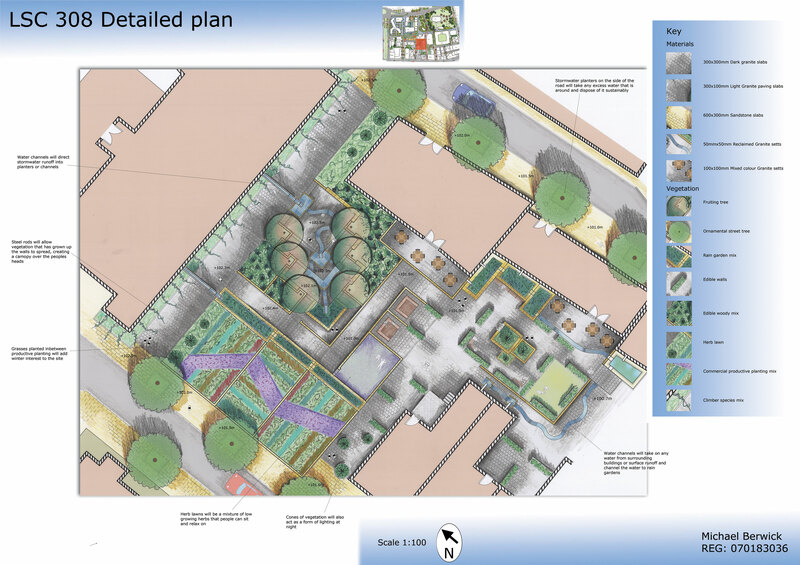 This detailed plan was produced alongside an edible concept of an area in Sheffield during my final undergraduate year.